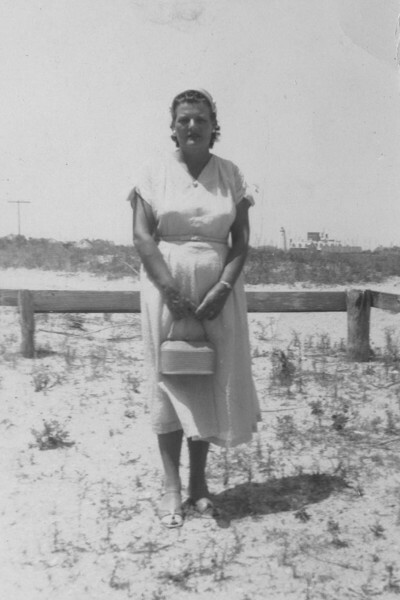 This picture of Kunigunde (Connie) Howard was probably taken in the 1950s in the front yard of the Bragg-Howard House on what is now Lawton Lane. Over her left shoulder, you can see the lighthouse and Berkley Castle. Connie is buried beside her husband, Lawton, on Howard Street in a cemetery close to School Road.